Do you know basic Italian but would like to take it to the next level? Imagine improving your Italian by reading about a “much-loved and romantic little chocolate” from Perugia? Or about enticing food selections and outrageous costumes at Carnevale in Venice? Did you know that the President of Italy, Giorgio Napolitano, is stepping down this year from the presidency as the only person in history to have served two terms in the Quirinal Palace? Read all about his political and personal life…while learning Italian. I’m personally convinced this is the most effective way for me to keep improving my delicate knowledge of the Italian language. 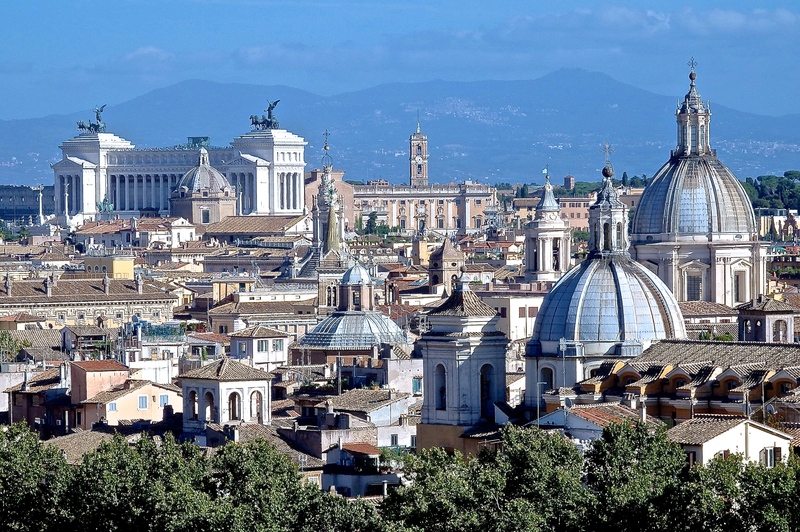 Tutto italiano, a Rome-based audio magazine for language learners, offers all of the above and more. It consists of a bi-monthly (six issues a year) audio magazine for intermediate and advanced learners of Italian. Colorful photos fill the pages, embellishing articles of interest about bella Italia, which I love. 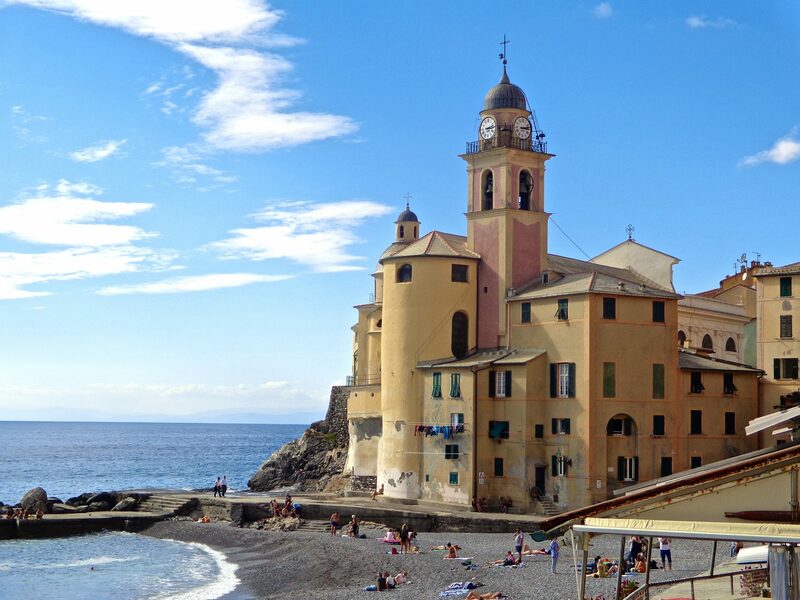 Not only does it further one’s abilities in the Italian language, but it is also a fun and effective way to learn more about Italy by introducing places that are well-known along with those off the beaten path. Learn about outstanding personalities in the news and current projects affecting tourism. Typical articles include subjects such as the arts, cuisine, travel, popular culture and sports. With so much at your fingertips, it makes improving your understanding of Italian much more fun than the typical textbook or classroom. Get acquainted with the contemporary life in Italy. And, you can take it at your own pace. 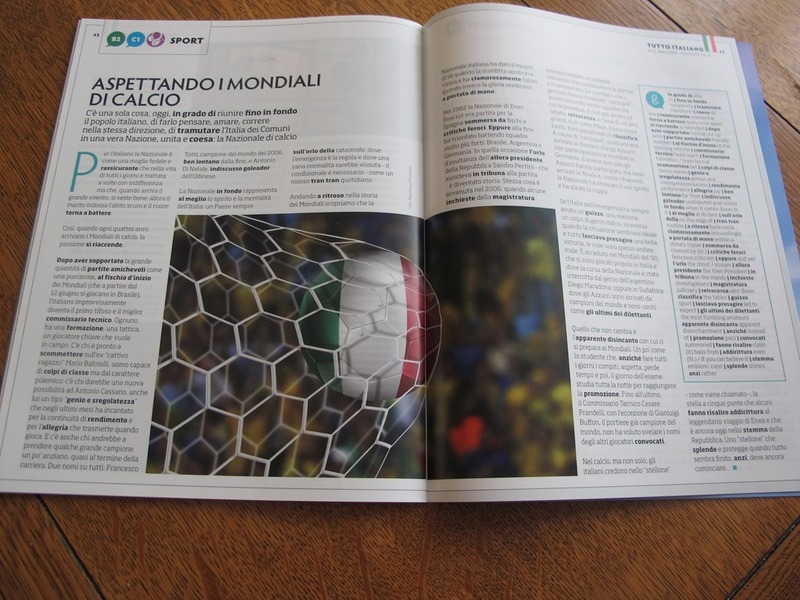 What I find unique about Tutto italiano is that each article in the magazine has an icon at the top which indicates the level of difficulty. Graded exercises to test comprehension and improve grammar are included at the end of most of the articles, using the levels of the Common European Framework (CEFR) and the Certificazione di Italiano come Lingua Straniera (CILS). Your measure of progress is tracked throughout the entire subscription. In addition, the main articles in the magazine are narrated by different people on each 60 minute audio CD that comes with each magazine, providing a variety of voices to learn from and to effectively build confidence in comprehension and speaking Italian. Wouldn’t it be cool to converse with Italians and be able to contribute effectively to the conversation while understanding what they are saying? The editorial team at Tutto italiano is led by Livia Borghese, a seasoned Italian journalist and reporter for major broadcasting networks such as BBC and CNN. The team is also accompanied by Vanessa Polselli, a recognized professor of the Teaching of Italian to Foreigners. 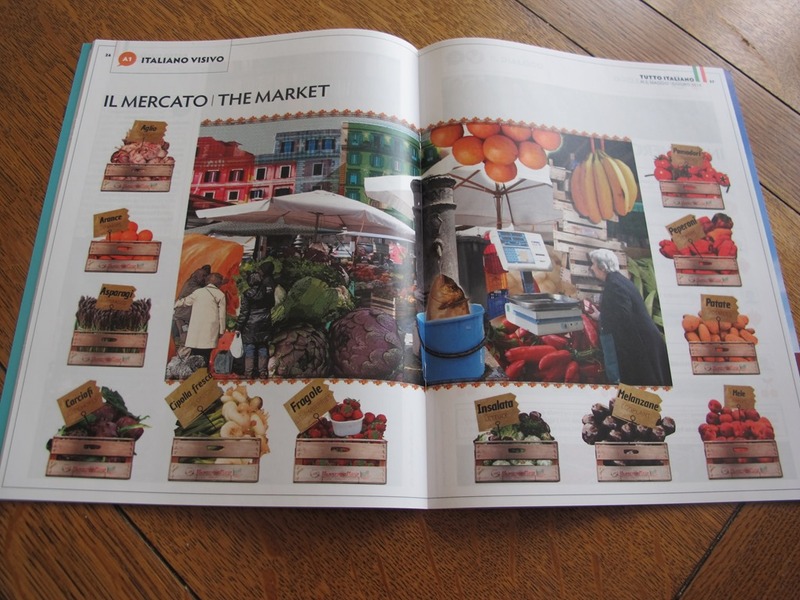 Tutto italiano is the only printed Italian audio magazine produced in Italy. To improve your language skills, this is a great way to engage in Italian as it is really spoken ~ and now with Tutto italiano you can. Improve your cultural knowledge of Italy at the same time through lively, relevant and up-to-date content. If you have any interest in improving your basic Italian skills, I encourage you to take a quick look at this program by clicking the link below. Personally, this is the only program that truly excites me, because I’m learning all about the things that make Italy such an enticing place to be while learning Italian. In my opinion, it’s the next best thing to actually being in bella Italia. Hello! What an interesting resource! Maybe you could help me) The thing is that I’m looking for Vanessa Polselli. She used to be my italian teacher in Rome, but i’ve lost her email address and can’t get in touch with her. As far as i understood she also took part in Tutto Italiano elaboration. Could you please help me to find her? Thank you so much! Hi, I don’t have any way of knowing how to reach Vanessa specifically, but you might want to contact Tutto Italiano at https://www.languages-direct.com/contacts/ and ask them. There is a form you can fill out with a message. All the best of luck!! Thank you so much! I’ll ask them! Good luck! This sounds like a wonderful program – I wonder if it’s available to us here in the USA? Yes, it absolutely is available here in the U.S. If you click the link on the article, you will get the information you need. It really is a fascinating program that is lots of fun, but you need a solid base of Italian to do it. Awesome resource! Even though I have been living in Italy for NINE years, maybe I should get this! My Italian is relatively limited given the time we have been living here…. Diana, what a great way to learn Italian…total immersion in your case! Since I don’t live in Italy, it is a constant challenge for me and I am still at the baby stage. But I have hope…..:) This audio mag is super cool….might be worth a try for you. yes, I totally know what you mean! After working so hard to learn some, its easy to be disarmed. But the challenge of it….just can’t resist!